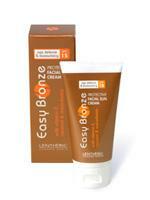 NEW multi-action products with natural extracts or caring skin protection. 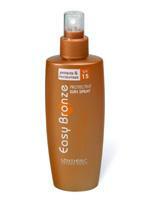 Protective Sun Spray [SPF 15] applies so easily to leave skin feeling satin smooth. Added coconut & macadamia oils replenish skin from any natural moisture loss. Protective Facial Sun Cream [SPF 15] is a deeply moisturising yet non-greasy formula with Vitamins C & E to aid in the protection from the effects of sun-damage. 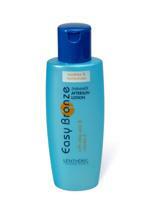 Shimmer Aftersun Lotion gives a flattering golden shimmer and extra radiance to tanned skin. Aloe Vera cools and soothes sun-exposed skin and natural emollients help promote a longer lasting tan. *Apply protective products liberally 20 minutes before exposure to the sun. Avoid peak sunshine hours. Reapply products frequently, especially after swimming.